An increasing number of world regions is expected to become chronically short of water in future climate scenarios, even if there is no global water scarcity as such (Hejazi et al. 2014; Arnell 2004; Vörösmarty et al. 2000). 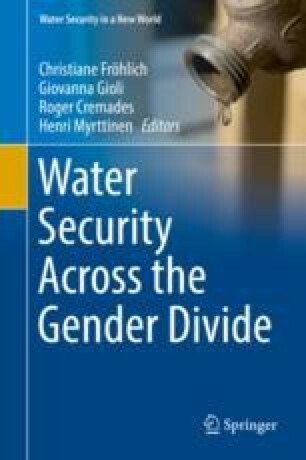 The main factors are structural inequalities, a blatant lack of comprehensive and efficient water management in places that are already suffering from water stress, as well as a global water use that is growing at more than twice the rate of the population increase in the last century. The impacts of these dynamics will inevitably vary for different individuals and segments of society, with gender often playing a major, but not the only, role in mediating needs, vulnerabilities and access to coping strategies.